Well, we believe that your air conditioning system should work better than just “fine.” You deserve the most effective and efficient performance that your cooling system has to offer. However, it can only perform at this high level if you invest in professional Milton air conditioning service, including routine maintenance and follow up repairs. Otherwise, you may experience AC trouble. So what should you know about the signs of a struggling air conditioner? Read on for 4 of these signs! Also known as uneven cooling, this describes areas in your home that are warmer than others, despite running your air conditioner. Naturally, you expect the system to cool down your entire home. This is a reasonable expectation and should absolutely be the case. However, you may at some point realize there are warm spots throughout the house. The best thing to do in this case is to call our air conditioning professionals so that we can investigate further, but the most likely culprit of uneven cooling from an air conditioning system can be from damaged ductwork or a refrigerant leak. Whatever is causing your AC troubles, it’s essential that you have it handled right away, and only trust the pros in doing so—work by an amateur or inexperienced general handyman can end up doing more harm than good. Have you ever noticed your air conditioner shutting down before it’s completed a full cooling cycle? This is evident in a system that starts and stops in rapid succession. If you have noticed this, what you’re listening to is something called short-cycling. This is going to cause your air conditioner, your comfort, and your cooling budge to all suffer. The cause of short-cycling might be as easy a fix as replacing a dirty, clogged air filter, as a blocked air filter creates resistance against airflow. However, another possible cause is that you have a malfunctioning component like a capacitor, or even a miscalibrated thermostat. One last potential cause is a refrigerant leak—something that can cause a variety of problems for your air conditioner. 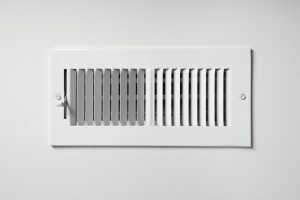 There are certain air conditioner problems that will be pretty obvious. For instance, your system might not start up at all, or it could be blowing warm air into your home. Even if your air conditioner seems to be operating just fine, but you notice your utility bills rising, then you probably have a problem with how efficiently your system is running. This is particularly true if you aren’t using your air conditioning system any differently than you have in the past. It’s never wise to just “wait and see,” either. You would want to wait for problems to worsen and then end up with a completely broken down air conditioner. Age is something you should be aware of no matter if you’re diligent about scheduling regular maintenance or not. Even a well-maintained air conditioner will give you a useful service life of approximately 10-15 years. Anything older than that is definitely a candidate for replacement. For reliable AC repairs, look no further than Kool Breeze of Northwest Florida, Inc. Contact us today!